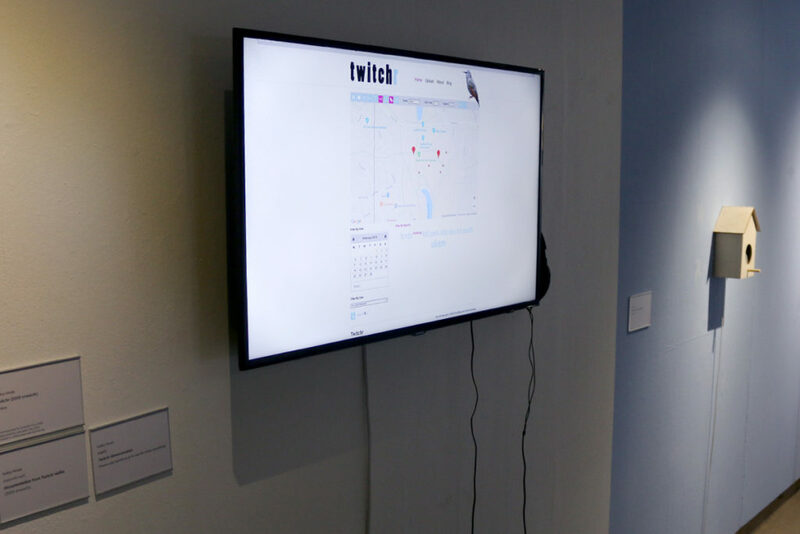 This became an opportunity to rework Twitchr and to present some documentation and ephemera from previous Twitchr walks and events. 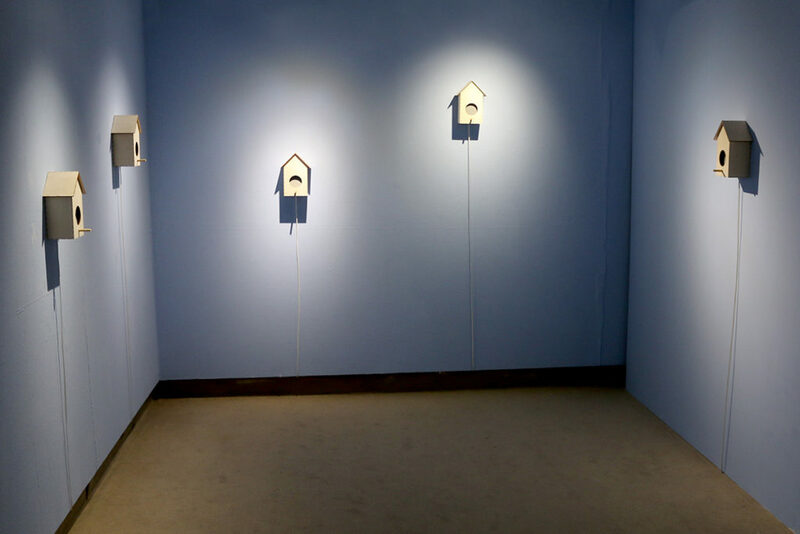 I also made a new generative soundscape from Twitchr recordings to playback occasionally from 5 custom made wooden bird boxes mounted in the gallery. Programming for this was by Matthew olden and ran from a raspberry pi. We realised, earlier this year, that audioboom had changed its focus to podcasting via paid subscription it became apparent that twitchr needed to work independently of third party apps. Thankfully the audioboom content was still available, so Ed holroyd reprogrammed the whole system to work independently. 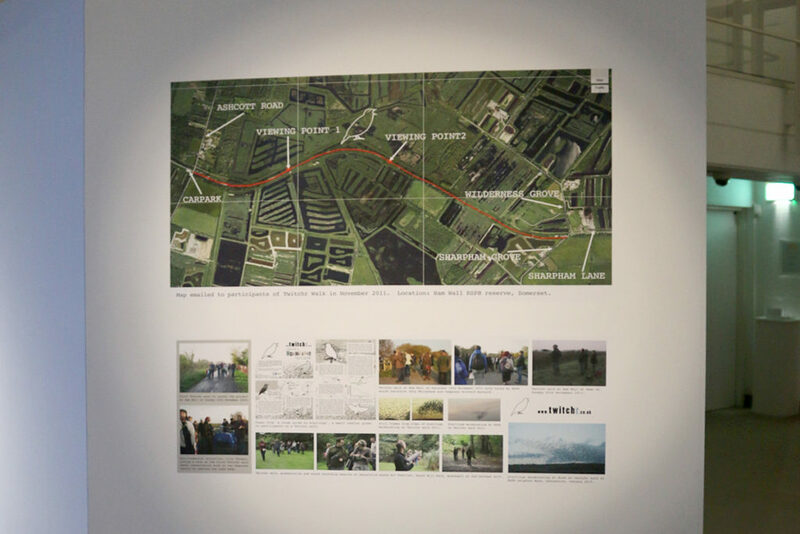 Thanks for Lancaster Arts and ACE England for funding this development and showcasing the new version.